We are offering Door Stopper Single to our clients. We are offering Stainless Steel Gate Hook to our clients. Mapple Metals is engaged in manufacturing of Hardware Accessories. In our range, we offer Door Aldrop, Door Handle and many more. that are known for their longer service life, corrosion resistance and dimensional accuracy. 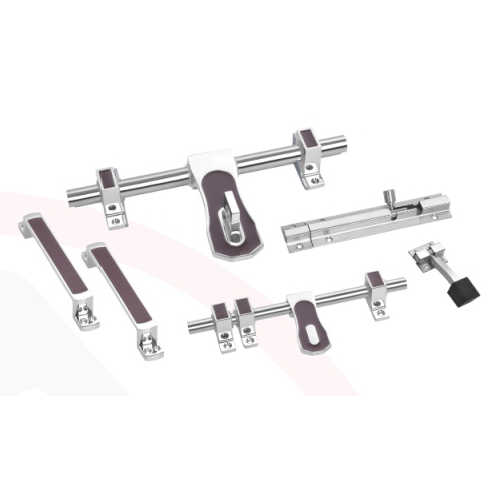 With thorough industry knowledge, we are engaged in manufacturing and supplying a wide range of Door Kit, Door Aldrop, Door Latch, Door Handle, Tower Bolt and many more. The offered products are manufactured using finest quality material that is sourced from reliable and trusted vendors of the market. All our products are highly applauded by clients owing to their dimensional accuracy, fine finishing, corrosion resistance, easy installation and high tensile strength.